Debug, the first company in Sri Lanka to introduce Dahua Products & Solutions, a world leader in security tech to the local market, provides safe, intelligent, efficient and convenient security and Surveillance solutions with emphasis on offering green technology. With cutting-edge technology and latest innovations, Dahua is able to provide comprehensive security with cost effective solutions. This helps big organisations to cut down on labor requirements and utilise security technology offered by Dahua solutions, with absolutely no room for any errors or for mismanagement via human interactions. “We have seen the growth in the Security and Surveillance industry globally, and we believe the need for high-tech Security and Surveillance systems is bound to grow rapidly in Sri Lanka,” said Debug Group of Companies Managing Director – Technology Cluster Abbas Kamrudeen. “Therefore, we have invested considerable resources on expertise, know-how, equipment, demonstration material, etc. to ensure that we remain at the forefront of security and surveillance technology solutions and provide our customers the highest levels of service that Debug has been known for over the last three decades,” he emphasised. Dahua Technology attaches great importance to R&D and continuously invests 10% of its annual sales revenue on its R&D. There are over 5,000 professionals working in in R&D and together holding 770 patents, including 40 owned invention patents. As a customer-oriented company with significant investment in innovation, Dahua aims to provide more leading products and solutions for all vertical markets. It is an advanced video surveillance provider with the HDCVI technology and also the first company to introduce the eight channel standalone real time DVR. Today Dahua provides security and surveillance solutions in more than 180 countries, while offering to many verticals such as banking, public security, energy, telecommunication, safe cities and intelligent transportation. Dahua offer solutions encompassing video solutions, electronic petrol, video intercom, access control, intelligent parking, Smart Home (IOT), and smart lock systems. 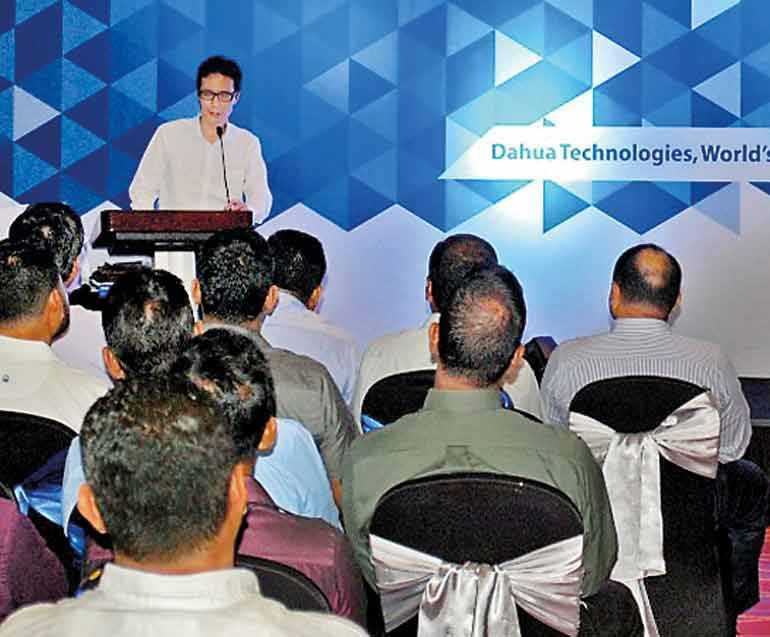 As the distributor for Dahua products and solutions in Sri Lanka for the last eight years, Debug has developed its network unmatched to any, and offers its sales and support to Dahua products via 14 engineering branches located island wide. Debug is the pioneer to offer Dahua products in Sri Lanka with a state-of-the-art repair and service center to support repair and RMA facility to its customers and partners.